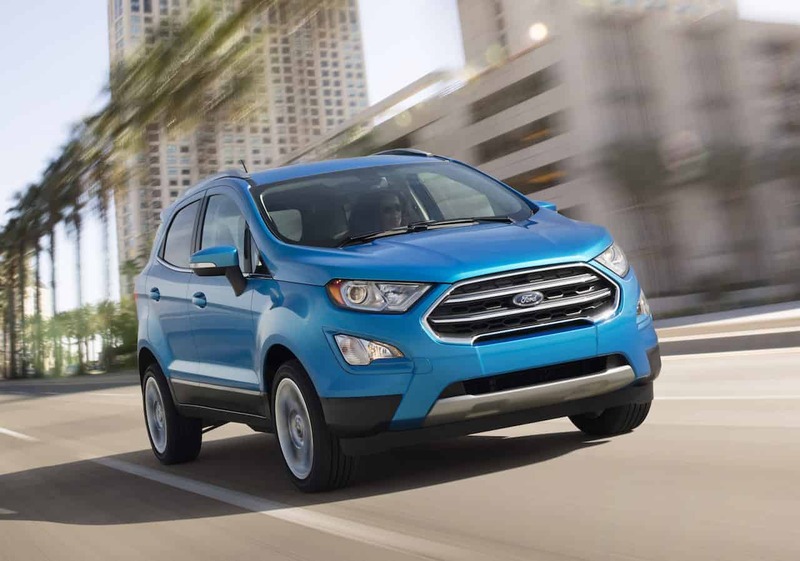 American car manufacturer, Ford has unveiled the next-generation EcoSport in US. 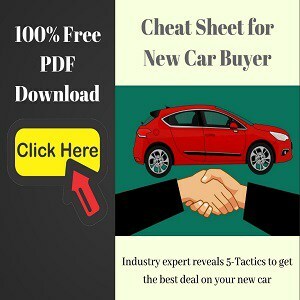 This facelifted model will arrive in US in the early 2018, however, the Indian market should receive this car sooner. The updates added to the EcoSport are selected to outshine its competition in terms of features, and refresh the existing looks. 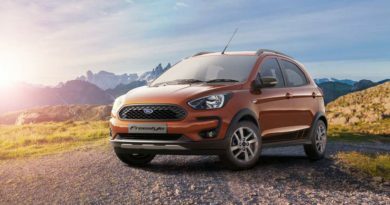 The aesthetics updates on the facelifted EcoSport includes newly designed headlamps, fog lamps, grille, and the bumper. More importantly, the spare wheel mounted on the tailgate is now taken off and has been bolted under the chassis. 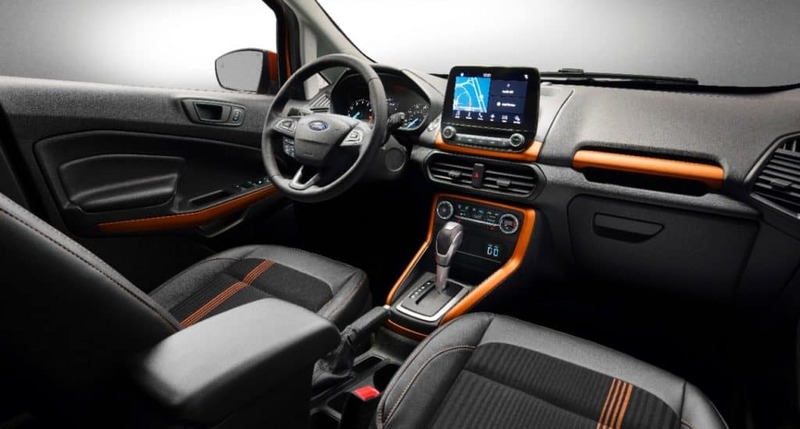 The interiors of the EcoSport are completely new and takes inspiration from the Endeavour. The car will now feature SYNC3 system that is said to be more intuitive, faster and easier to use. In the centre is a 8-inch touchscreen that sports both Android Auto and Apple CarPlay. 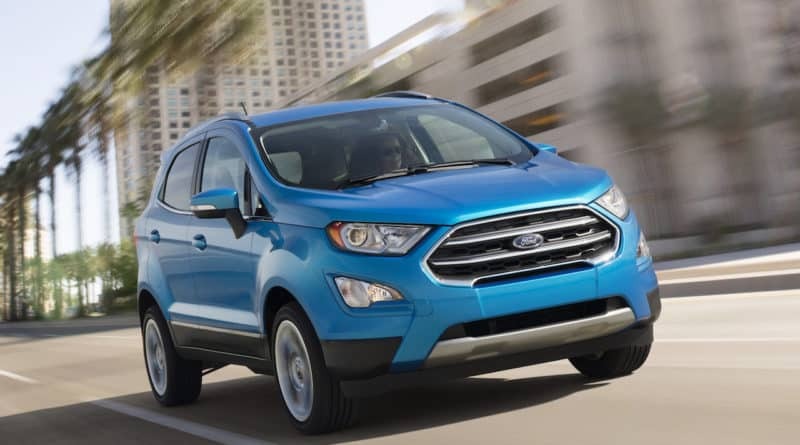 The US-spec EcoSport will get a Ford-exclusive Bang & Olufsen 675-watt, 10-speaker system that will be tuned by the Harman acoustic engineers. 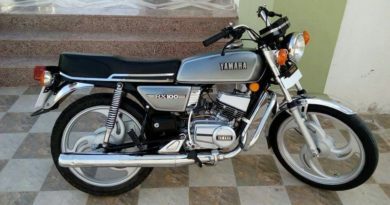 Additionally, there will be dual FM radio antenna to receive clearer radio signals. The compact SUV could be had in ten color schemes and seven ambient lighting options available across four variants levels. The top two variant will also come loaded with all-wheel-drive configuration along with ‘sporty’ suspension and steering set-up. 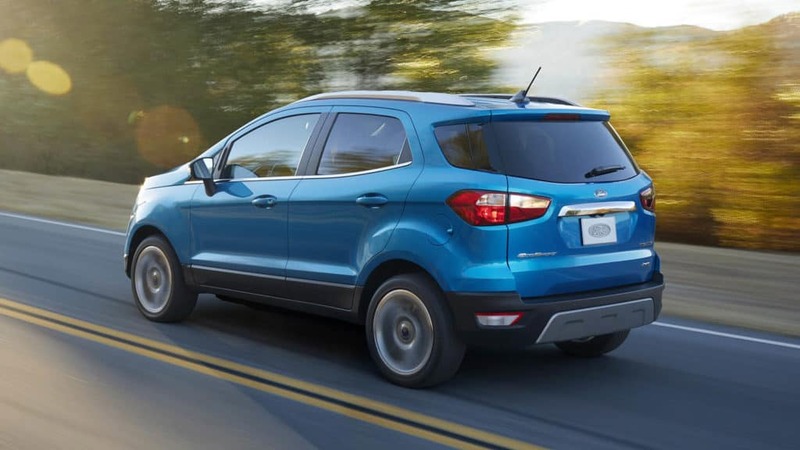 The US-Spec EcoSport will be powered by a 1.0-litre EcoBoost engine or a 2.0-litre four-cylinder engine. 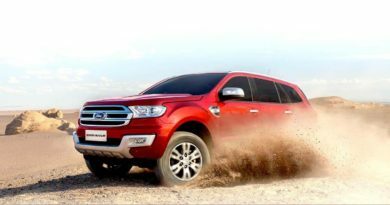 The Ford’s 4WD system will be standard on the latter engine option. Both the engines will utillise a six-speed automatic gearbox.